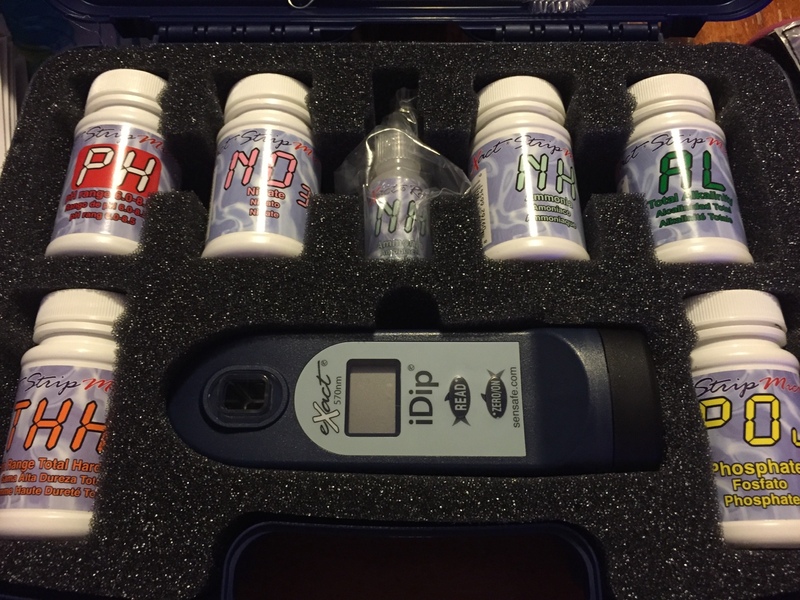 You should also take a look at the Exact iDip test kit. I just invested in a set of these and will be testing them. Keep us posted on this. Looks interesting. So overall this is an easy test kit to use. It seems I bought the freshwater nitrate test in the app so it was only $5 I overspent. I'll take it up with them later. Anyway I did some tests, ph 8.2, calcium 520, alk 148, nitrate 15 and phos .26. Only the calcium seemed high and the nitrates were the lowest the meter goes but it seems an accurate number based on what I get from Red Sea and Salifert. Hanna had my phos at .56 but that seemed high to me. The total hardness registered Hi and I the app is a little limited so I wasnt able to get the calculated magnesium. I made a few mistakes grabbing the wrong test strips, but with practice I should get a consistent result. Took about a half hour to run through it all my first time. I'll be able to cut that in half. So much better than measuring!! Nitrate has a low limit of 15? That's no good. I usually run <5. Take a look at the exact idip. They are going to be fixing the magnesium, nitrate and phosphate ranges in the next release toward the end of the year. For alk and calcium its perfect plus where my nutrient levels are at now its great and I can live without magnesium for the time being. So far using the device has been super easy. Double checking values have been 1-2ppm deltas. I feel very confident in giving it a good recommendation.